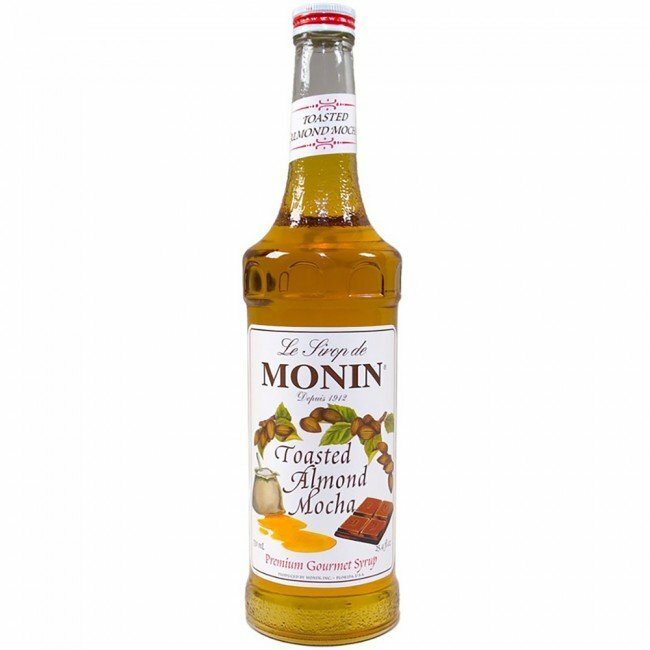 Take a walk on the sumptuous side with Monin's Toasted Almond Mocha Gourmet Syrup. Featuring the flavors of chocolate, caramel, toasted almonds and butterscotch, this delicious syrup is certain to turn your everyday latte into a decadent treat. Many will find this blend more nutty than chocolate in flavor profile so go ahead and add a Monin Dark Chocolate Sauce to enhance the flavor. Trust us, you will love it! 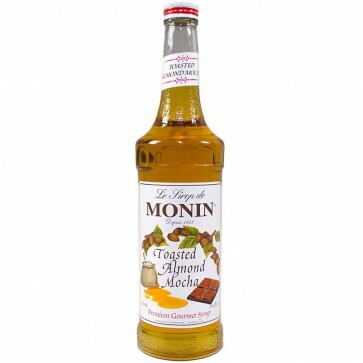 Fantastic flavor to add to lattes, mochas, hot or iced coffees, steamers, cocoas, cream sodas, smoothies, shakes, and cocktails. More nutty than chocolate in flavor, a delicious blend to add depth to any drink hot or cold. Pure Cane Sugar, Water, Natural Almond Flavor, Caramel Flavor, Butterscotch Flavor, Chocolate Flavor.